As you could notice, in August 2016 Google.Adwords introduced a few new limitations for Adwords accounts that don't spend enough money for ads. One of such limitations became a new way to display search volumes. Today it displays intervals like "from 1M to 10M" instead of actual values, for instance, 5365200). In the following text we will tell you how to get "actual" values instead of intervals without spending a big budget on advertisment. But it's pretty obvious that technology is a kind of bug in Google.Adwords and perhaps, they will close it soon. It's on users community shoulders how long that "secret" will work. So please don't overuse it: don't check everything you have, try to get statistics only for keywords you really need. The essensial idea of the method is to create a new Manager account and to delegate to it full control for the Google.Adwords account you have already had. Update Key Collector to the last version. Create a new email address. That email must not be ever used in any Google service. It must be absolutely new email account created on any non-Google service. Login into the Google.Adwords account you have already had. That account must be created for parsing only, but not for real purposes (i.e. that account must be absolutely inessential for you), because Google.Adwords can ban or block it without giving you a change to get control back. The account must be also ready for usage in Google.Adwords Keyword Planner Tool. On the top-right corner you will see account's Customer ID. Write it down — we will use it later. In any web browser start private mode (with no cookies) and open "Google.Adwords Manager account". Press "Sign Up For Free" button. Enter your recently created in step 2 email into "What's your email address" field. Enter any meaningful account name into "Name your account" field. Select "To manage other people's accounts" mode in "How will you primarily use this AdWords manager account" field. Set your country, time zone, currency, read the user agreement and accept it, if you agree. Press "Save and continue" button. Enter your name, new password (write it down — we will use it later), fill all the fields and finish registration process. On the email you created on step 2 you will receive account activation letter. Complete the registration by the link inside and login to the just created Google account. On the center panel you will find Accounts table. 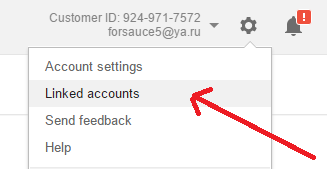 Press "+ Account - Link existing accounts" button. Enter Google.Adwords digital Customer ID you've got on step 4 into "Enter customer IDs" field. Logout from the Manager account and login into your Google.Adwords account whos ID you've just entered (we were talking about that account on step 3). On the top-right corner press settings button and select "Linked accounts". In the left sidebar select "Account access" category. In the "Client managers" section accept the request for account remote control you've just made. Switch-on the "Administrative owner" option. All the above steps should be done with maximal accuracy. If something doesn't work, you should start from the beginning and repeat all the steps again. Technical support can't check whether you've made everything right or not. In the result you will get a new Google Manager account to which another Google.Adwords account delegeted its full control. Please, check if everything is fine. You need to login into that recently created Google Manager account. 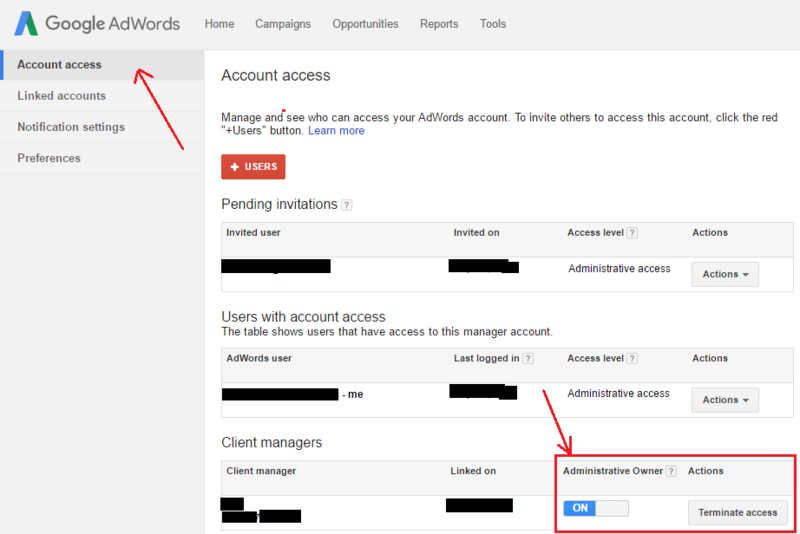 Then go to the "Accounts" tab and click on the linked Google.Adwords account title. Then click on "Tools" and choose "Keyword Planner". Now you have to check, if Google.Adwords displays "actual" search volumes now. If so, you can open Key Collector and enter that Manager account with its password (which you created on step 6) on the "Settings - Parsing - Google.Adwords" tab. If it still shows intervals instead of "actual" data, perhaps, either you made a mistake somewhere or that method also lost its efficiency. Technical support team doesn't help anybody in creating/tuning-up accounts. Key Collector [RU] © 2010-2019 LegatoSoft. All rights reserved.